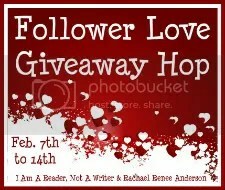 Hello and welcome to another stop on the Follower Love Giveaway hop. Thanks so much to Kathy from I Am A Reader, Not A Writer and Rachael Renee Anderson for co-hosting. 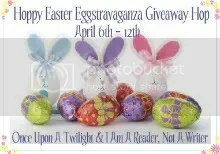 To see the rest of the participants in this hop, please click the red logo below and enter to win more great prizes. On February 15th, I’ll choose a commenter using random.org, announce it on my blog and contact the winner, who will have 48 hours to respond. If I don’t hear from them, another winner will be chosen.